Home » Latest News » GHM GROUP ACQUIRES MEASURING TECHNOLOGY EXPERT VALCO SRL. 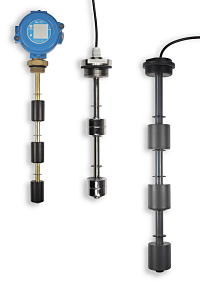 producer for level, flow and temperature sensors for machine and process automation. “I am very pleased to welcome Valco to the GHM Group. The acquisition enables the GHM Group to offer to our customers an even broader range with the entire manufacturing excellence and in-depth knowledge of the processes in many different applications both in process industries and machine building,” said Johannes Overhues, CEO of the GHM Group. GHM Messtechnik South Africa, Managing Director Jan Grobler commented “This is an exciting addition to the GHM Group and will most certainly enhance our footprint in the petrochem and oil and gas sectors in the Southern Africa region. Valco is renowned for their high accuracy and quality measuring technologies”. Valco srl, founded in the 1980s by Roberto Perego and Roberto Valdarchi near Milano, Italy, is a well-established, internationally renowned company in the machine and process automation sector. Valco has been a specialist for level, flow and temperature sensors in the Italian and European markets since 1982 and is well-recognized for its reliability, cost-effectiveness and adaptability to customized solutions. The integration of Valco is another milestone in the growth strategy of the GHM Group. The group can now strengthen its worldwide position as an innovative solution-provider for industrial measuring technology and exploit the growth potential of the current “smart factory” and Industry 4.0 megatrends. Several synergies arise with the combination of Valco’s expertise and technological competence with the skills and capabilities of the GHM Group. On the one hand, this specifically expands the range of industrial sensors of the Honsberg Competence Centre, the experts within the GHM Group for flow and level sensors. On the other hand it extends expertise of temperature sensors and electronics, which harmonises ideally with the temperature Competence Centre Greisinger and the industrial electronics Competence Centre Martens. The GHM Group will apply the successful GHM methods and further invest in Valco´s R&D and sales activities. “The new group member opens up new worldwide growth potential for the GHM Group and expands the range of products for our customers around the world. The products from Valco, which are tailored to market requirements, now make it possible for the GHM Group to serve industries and customers that were previously inaccessible to us,” explained Stefan Langer, Head of Product Management of the GHM Group. “The market strategies of the GHM Group and Valco are very closely aligned, based on a common commitment to customer-oriented solutions and collaboration that has already been established for decades. Therefore, we expect a smooth integration of our company into the GHM Group. With our combined strengths, we will continue to develop our comprehensive product portfolio for the benefit of our customers,” said the founders of Valco. The integration process is led by a committed team in Italy composed of team member from both sides. The GHM GROUP will follow its proven approach and ensure that integration is seamless. In the future, Valco will be part of the “Industrial Sensors” business unit of the GHM Group as a new Competence Centre under the management of Alessandro Perego, the former General Sales Manager of Valco. The two founders will serve the company in an advisory role during the integration process. “With our compatible products, market expertise and innovative technologies, the GHM Group and Valco now have even more impressive value advantages with which we accompany our customers into the fourth industrial revolution,” concluded Johannes Overhues.